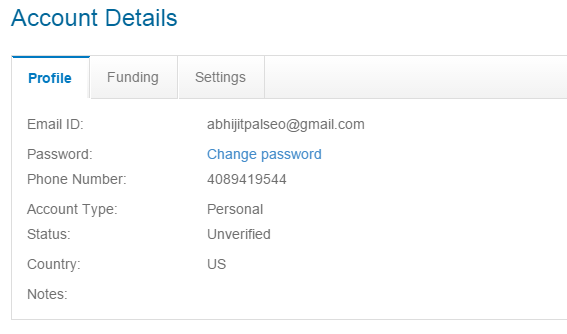 Hello friends, welcome to my another post how to create PayPal pro sandbox account. 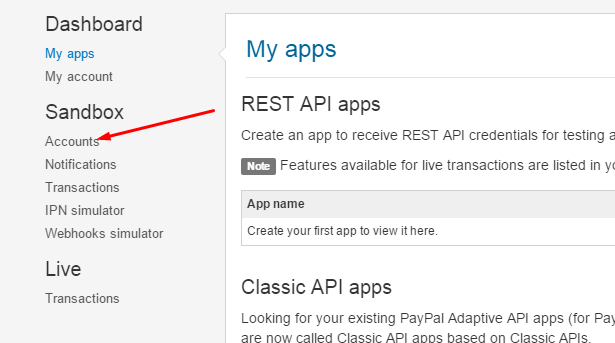 Few months ago I created a PHP script how to integrate PayPal pro in php. Many people asked me, how they create PayPal pro sandbox account and test the script or they got some error like security header is not valid or this transaction cannot be processed due to an invalid merchant configuration etc. All error occurs because of PayPal pro account. If you set up your Paypal pro account correctly, you will never get this types of error. So please follow the below instructions to create Paypal pro sandbox account. If you have your Paypal sandbox account, then skip step 1. 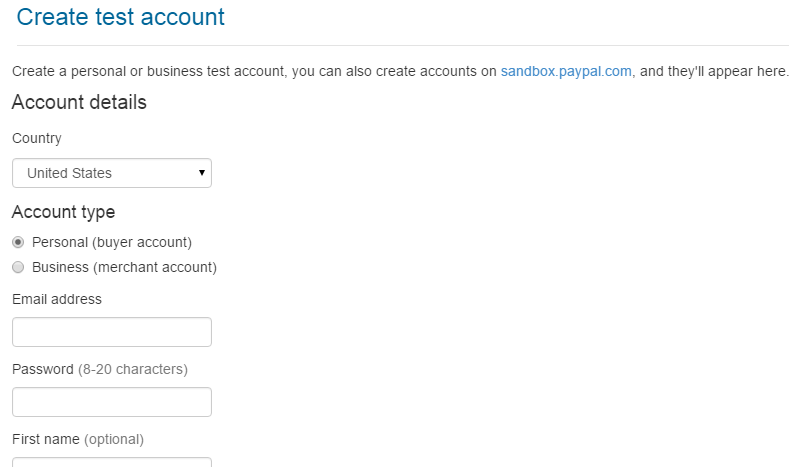 Step 1: Go to Paypal Creating Sandbox Test Accounts, follow the steps mention here for creating Paypal sandbox account. Step 2:Go to https://developer.paypal.com/ and login in into your sandbox account. After login click on dashboard(see below image). It will open a new page. Here you click on Accounts under Sandbox(see below image). It will again open a new page. Here You click on Create Account(blue button) button(see below image). This will again open a new page where your will see a form like below image. After fill up the form click on Create Account button. 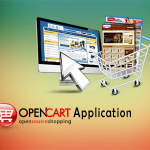 You will show a message like “Successfully created test account”. Now your sandbox PayPal pro account is created. you will show profile and Notification(like below image). Click on profile, it will open a popup like below image. Here you find your Credit Card details on Funding Tab. In Personal (buyer account) you will not get Paypal Pro API Username, API Password, API Signature, here you only get the card no, card EXP date etc for Paypal protesting. 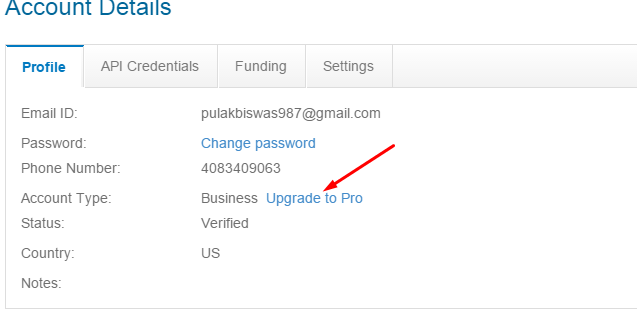 Now click Upgrade to Pro beside your Account type and then click on Enable. Now your merchant account is PayPal pro enable and now go to API Credentials tab where you find your API credentials like username, password, signature. 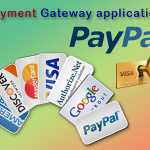 Now you know how to create Paypal pro sandbox business account and personal account.